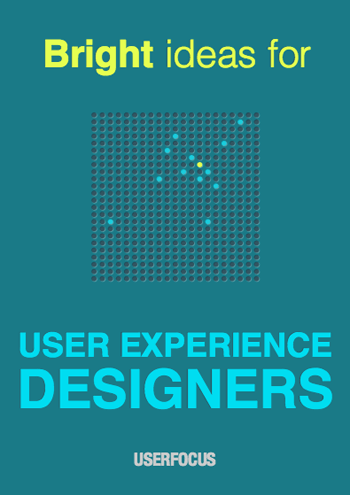 This is a free e-book by usability consultancy firm Userfocus. The best part of this book is its casual tone. Acronyms like “the CRAP way to usability” and The Beatles analogies make remembering the book’s lessons a lot easier, and makes for an interesting read. That’s why this book is one of my favorites. 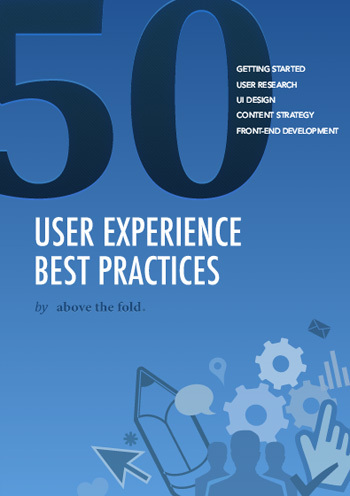 As the book’s title implies, 50 User Experience Best Practices delivers UX tips and best practices. It delves into subjects such as user research and content strategy. One of the secrets to this book’s success is its creative and easy-to-comprehend visuals. This e-book was written and published by the now-defunct UX design agency, Above the Fold. 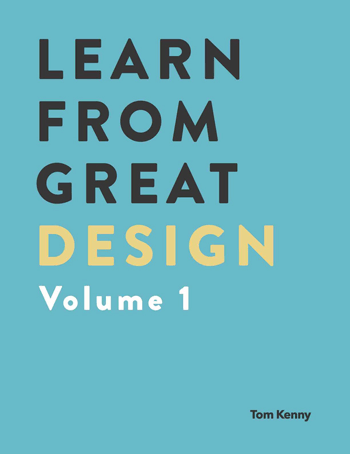 Over at UXPin, my team and I have written and published a lot of free e-books. 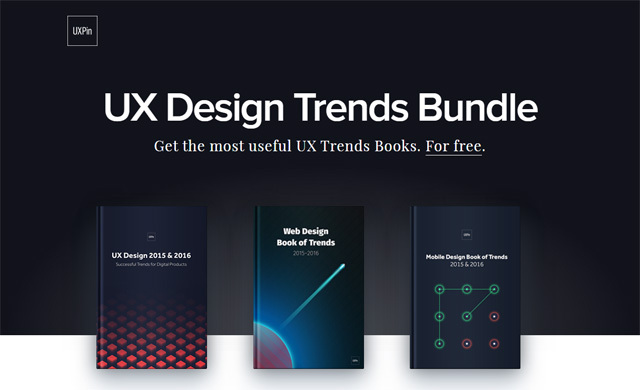 For this post, I’d like to specifically highlight our UX Design Trends Bundle. It’s a compilation of three of our e-books: Web Design Trends 2016,UX Design Trends 2015 & 2016, and Mobile UI Design Trends 2015 & 2016. Totaling 350+ pages, this bundle examines over 300 excellent designs. 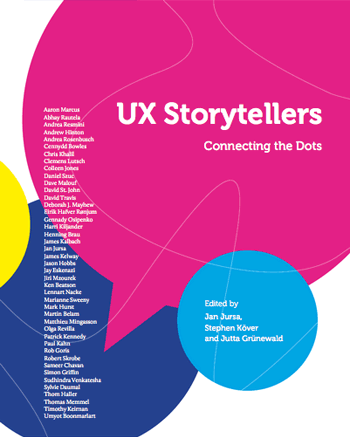 Published in 2009, UX Storytellers: Connecting the Dots, continues to be a very insightful read. This classic e-book stays relevant because of its unique format: It collects stand-alone stories and advice from 42 UX professionals. At 586 pages, there’s a ton of content in this book. Download it now to learn about the struggles — and solutions — UX professionals can expect to face. This e-book covers all the important components of the UX design process. It’s full of valuable insights, making it appealing to both beginners and veterans alike. The book is divided into five categories: Collaboration,Research,Design,Development, and Refinement. Each category contains a series of articles written by different members of MailChimp’s UX team. Only a portion of this book, 57 pages, is free. In this e-book, web designer Tom Kenny does in-depth analyses of great web designs, pointing out what they’re doing right, and also what they could do better. For those that learn best by looking at real-world examples, this book is a great read. The full version of this e-book contains 20 case studies; the free sample only has 3 of those case studies. I’ll end this list with another UXPin selection. 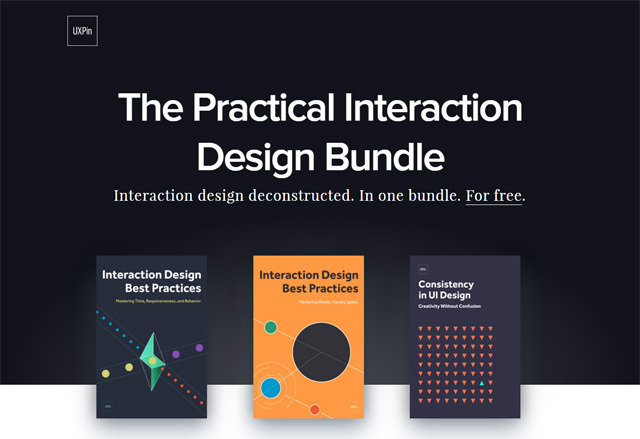 This bundle contains three of our IxD e-books: Interaction Design Best Practices Volume 1 and Volume 2, as well as Consistency in UI Design. Interaction Design Best Practices Volume 1 covers the “tangibles” — visuals, words, and space — and explains how to implement signifiers, how to construct a visual hierarchy, and how to make interactions feel like real conversations. Interaction Design Best Practices Volume 2 covers the “intangibles” — time, responsiveness, and behavior — and covers topics from animation to enjoyment. Consistency in UI Design explains the role that consistency plays in learnability, reducing friction, and drawing attention to certain elements. Altogether, the bundle includes 250 pages of best practices and 60 design examples. 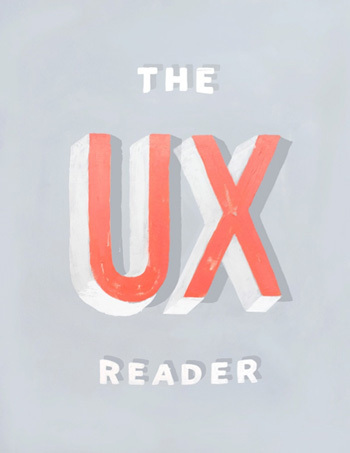 Did I leave out your favorite UX e-book? Let me know in the comments. Jerry Cao is a content strategist at UXPin. In the past few years, he’s worked on improving website experiences through better content, design, and information architecture (IA). Join him on Twitter: @jerrycao_uxpin. A Look at the Hourly Rates of Freelance Designers and Developers	Does Generational Marketing Work?